The best part of spring is the flowering shrubs. The Loropetalum is one of the early bloomers. It has a slight scent. 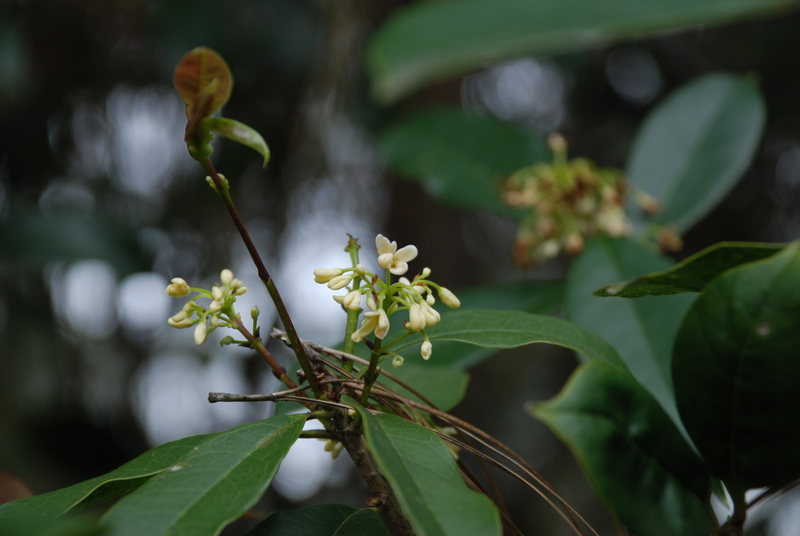 Flowering Olive has tiny flowers with a big scent that drifts across the garden. It will bloom on and off throughout the year. The flaming red Bottle Brush is a beacon that attracts hummingbirds in the spring. Azaleas are always a show stopper in these parts, inspiring communities to put on azalea trails. One bush that has it all is Yesterday, Today and Tomorrow. 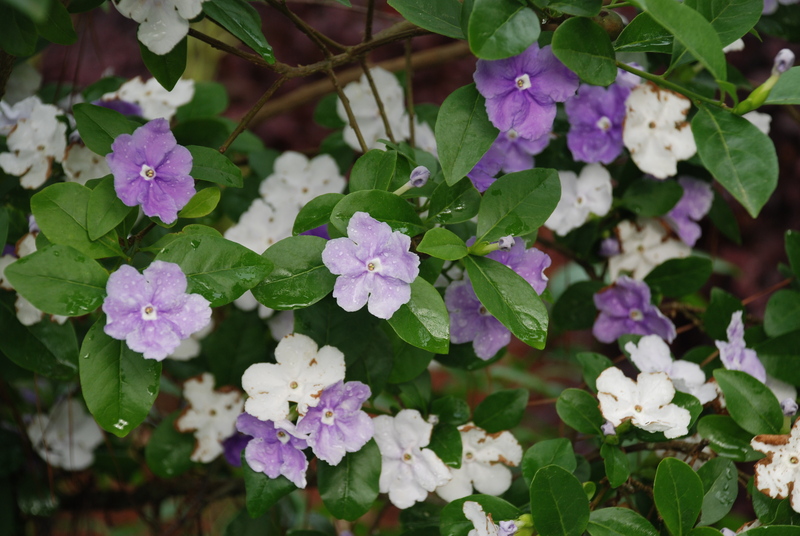 Each flower displays three different colors and it is heavily scented. 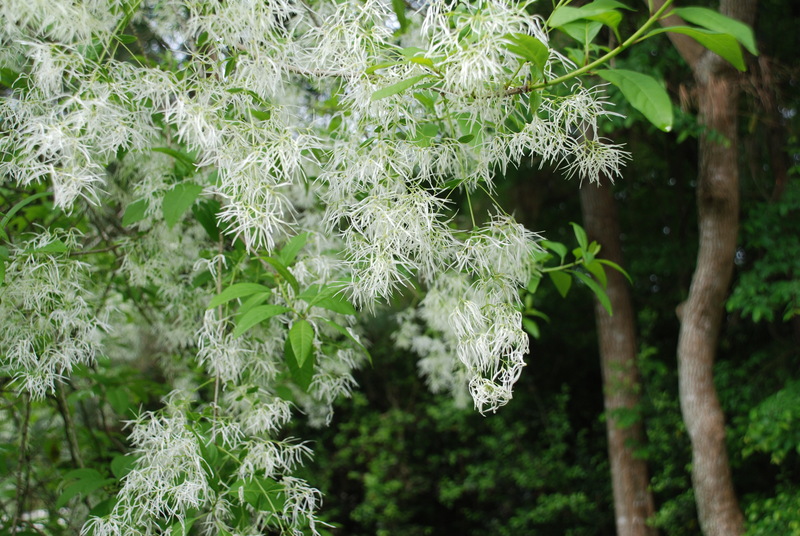 This small tree had to be included for the fanciful flowers that hang from the Fringe Tree. Everything looks great! Loropetalum is one of my favorites. I think I am a bit too far south, but I am giving one a try. It seems to be suffering a bit, so I have loaded on the water and compost. Fingers crossed. I found out the Loropetalum can use some iron once and awhile. The Loropetalum was very happy this year. It could have been the fertilizer. I never give it to them very often, as they have to be trimmed several times a year. I’d rather they didn’t grow so much. How pretty. Very soon after I read this, my neighbor offered me some Yesterday, Today, and Tomorrow and I was so excited . Loved these. I know of a tea love and a granddaddy gray beard. Are they the same? I am not familiar with those, so I’m not sure. I meant to say tea olive. I appreciate your response. I looked them up and they might be the same. Mine flowers on and off and seems to bloom after rain. The flowers are very small, but can scent the entire yard. Lovely. That last one is exquisite. Does it have a fragrance too? A very slight one that you have to be right of to the plant to smell.